For many of us, most of our retirement money comes from an Employee retirement fund… either ours or our partner’s. One of the biggest assumptions that people make is that the employer will take the right amount of money from your paycheck so that when you retire you’ll have enough. However, this is not the case. Note that the amount the company often also takes Life insurance and disability insurance – so that means that the 20% must exclude life insurance. Keep all your retirement funds separately – it gives you way more flexibility for both investing and when you retire. You can draw each of them at different times. Read at least one article a week – the more time you spend on your money, the more it will be able to work for you. Lisa Linfield: 00:09 Hello, everybody, and welcome to today’s episode of Working Women’s Wealth. 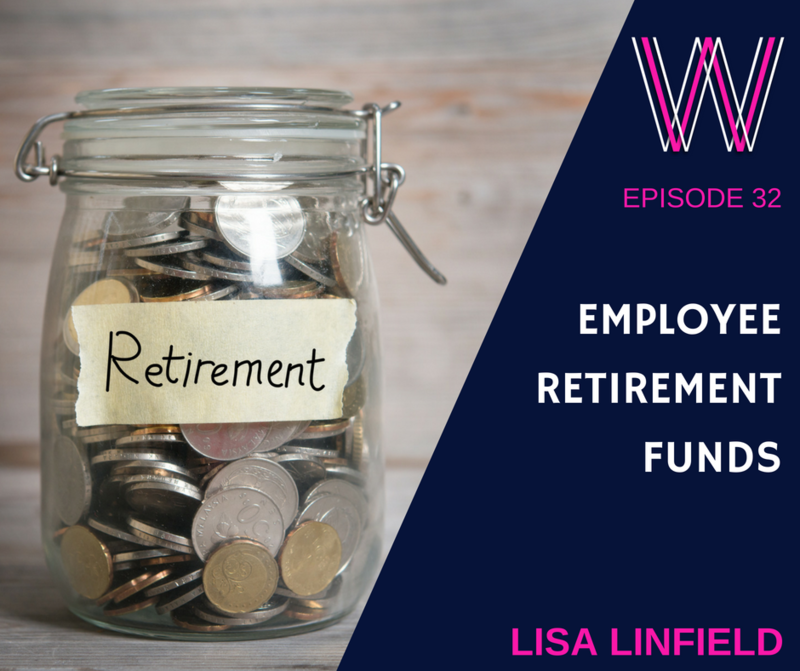 We’re going to be chatting about employer retirement schemes today, and this is for those of you who are employed in a company, and where a deduction of your money goes towards a retirement fund. It’s hugely important that you do pay attention to the selection and the process of these retirement funds, and not assume that your money is going to be correctly and adequately saved at the right rate by your company. You see, many people I talk to assume, and many of them pass the comment, “But I’ve been working all my life and,” different companies or the single company, “has taken money and put it into my retirement fund, so I must be okay.” The bottom line is that that’s a really, really flawed assumption that you can make. In one of our previous episodes, when we’re talking about, “What are the assumptions you make about money?” that is one of the biggest assumptions that people who have come into or always been in retirement funds with their employer assume is that, “The employer knows how much money I need to retire with, and so the employer taking the right amount of money.” Where that assumption hugely goes wrong is that the employer doesn’t know how much you need to retire with. They don’t know whether you have always held onto your retirement funds right from the first day, or whether you have actually been cashing it in, or under-saving or over-saving. So, there’s no way your employer can know exactly how much money you should be saving. The reality about it is that we all need to have money taken off the table, and what do I mean by that? Well, if you have money available, you will spend the money, and whilst it sounds really nice to take the lowest proportion of money that you possibly can and put in your retirement fund, it actually doesn’t serve you in the long run. It is hugely important that you say, “Can I have the maximum amount that I can save?” And you work out your daily expenses around that. Now, companies don’t often give you full flexibility how much you save, some do, but you must try and save at least 20% every single month for your retirement. The other thing that you need to know is that sometimes the money or the percent that they take off your salary is not fully going into your retirement funds. In most places, if they offer a retirement fund they will also offer company life benefits, which means that instead of the full 15% or 20% going into your retirement fund, they take 2 to 2 1/2% to go into life insurance, disability insurance, an critical illness insurance. So, don’t think that because 15% or 20% is going off your salary that that’s the amount that is actually going to be put away for retirement. The amount that’s going to be put away for retirement is often they have taken off the 2, 2 1/2% for life insurance. 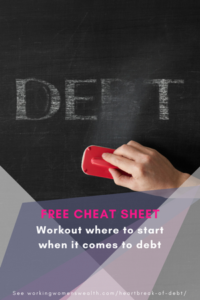 So, the first thing, as I said, was, step one, is to take the largest possible amount that you can, both in terms of off your total salary, and secondly, in terms of the options to save. The second important point is make sure you understand the difference between the money that’s going into your retirement funds and the money that’s going into life insurance. The next thing is what fund do you invest it in, and for most companies, they will offer you a choice of different funds. Either read up about it, or go and seek a once-off appointment with a financial advisor, or alternatively, many of them will say, “There is a high risk, a medium risk, and a low risk.” We chatted about this before, that you need to understand what your investment risk profile is, but if you’re very, very young you can afford to take a lot more risk because over time it will balance out. If you’re about a year or two away from retirement you don’t want to take as much risk. Otherwise, balance funds, the middle-risk ones, are a very good profile to be in, but you need to make the choice for you in terms of what your risk appetite is. Now, you have this fund, and you’re putting money away every single month, and the reason why it’s great to put money into a retirement-based fund is sometimes your employers match that, they’ll put some of their own money into it, and sometimes you get … for example in America, you get match schemes that you can undertake, and the other thing is that the money is taken before tax. So, unlike investing by yourself in a retirement fund, the employer does all the calculations for you and takes that money before tax, and then remember, when you retire you will then be taxed in it when it goes down, but at least you’re only paying tax once. You’re only paying tax when it comes out. So, it is hugely important that you then watch and track this money, and one of the things that I always see people is that they made a decision 12 years ago when they joined a company on the fund that they made, and they’ve never looked at it since then. Every now and then they might check the balance, but they’ve never looked at it since then, and it’s really important that you watch it and track it, and that you understand the fund’s performances and you hold your people representatives accountable to make sure that these funds grow and are in the right fund structure. The other thing that you need to know and understand is about fees, and the treasury in South Africa and many different places have done a lot of investigation on fees. One of the things about some of these company funds is that they have quite a huge amount of fees because they have to pay people to come and consult to you, so if you’re going to pay the fee for an employee benefit scheme, make sure that when the consultant says, “I’m here for the day. Does anybody want to come see me?” that you go and talk through your investments with that consultant. You’re paying for it, so you may as well really go and kind of interrogated. Remember, the more time you spend on your money, the more you will be able to make your money work for you. Then the last question comes, “What happens when I leave?” Now, I would strongly suggest to my experience with people that when you leave you take your money out of that company fund, and you put it on a standalone platform. What that means is that there are many different companies that have an investment platform that you can move your retirement funds onto. Now, you don’t get taxed, you don’t get charged. You can move them straight from your employee scheme onto a different platform, and that you hold it there in the preservation fund, and the reason why is that many people take their retirement fund and put it into their new employer scheme. These employer schemes are many times quite expensive, but secondly, it means that you really do have all of your eggs in that employer-scheme basket. I don’t think that’s necessarily the best solution because employer’s retirement funds are sometimes often linked with the company, and I think that you should just try and move these funds and get them on an independent platform where you can control the costs, control the investments, and you have a little bit of diversification of your risk. For me, that is a prudent thing in any form of risk, that you have some diversity so that if something happens it doesn’t all crash at once. So, when you retire, you move your funds onto an independent platform, and you invest your funds there, and you will find you’ll then have lots of different parts of retirement funds, lots of little accounts for them, and that’s a good thing. Don’t consolidate all of your retirement funds into one big fund, and the reason why is that you allow yourself much more flexibility when it comes to retirement because, for example, in South Africa when it comes to drawing down your living annuity, or converting your retirement fund into what’s called a living annuity, they have minimums and they have requirements around how you draw these funds out. What you want to do is create as much flexibility as possible, so that if you have many different funds and different parts you can trigger them into different investments at different times. You have that flexibility to be able to say, “Well, we’ll use this bit of fun now, and we’ll leave the other funds just to grow.” And though it looks neater and tidier for you if everything is one big fund, but a more prudent strategy is to create lots of different funds and lots of different investments so that there’s a lot of flexibility when you retire because you don’t know whether the markets going to good, the markets going to be bad. You don’t know what you need to draw, and so if you have flexibility you can always draw them all at the same time, but what you can’t do with a major, huge, single preservation fund is trigger it at separate times at the moment. That flexibility just doesn’t exist. So, keep yourself informed about the latest changes in employee benefits and employee legislation, and make sure that you’re always, always, always keeping that pension money untouched. Never, never, never, never draw down from your work pension funds when you change companies. All it does is set you back and puts more pressure on you to invest more and more and more money as you get older. I still have my very first pension fund, that when I left my very first company I kept it. I was 22 years old, and I still have that fund. It still sits by itself, and it still gets invested, and it has its own little investment strategy, and it’s still growing, and it’s still going to be a great piece of my retirement. I don’t have to save that money because I’ve kept it. Every time you draw down from a retirement fund, you take money out, you got to pay tax and you reduce the amount of tax-free money you get when you retire. Let’s recap: When you start a job be very care to understand the pension offering. Then start with saying, “How much?” and the answer to that is, “As much as humanly possible.” Secondly, know how much you are investing in your retirement fund. Make sure that you’re aiming for a minimum of 20%, and if you can, do even more. Thirdly, understand the funds that they’re invested in. Make sure that you are able to match your risk with the risk of the fund, and make sure that you understand timing. If you’re very young, you can go into the high-risk fund, and if you’re not very young, if you’re coming towards retirement, you might want to reduce your risk. Then, watch and track it while it’s in progress. Make sure that you watch and track those funds, and see how they perform, and take an interest in them. The more time you spend on your money; the more money you will have at the end. Third, make sure that you use the employee benefit’s person that comes to talk to about your funds. Even if you don’t track it, get them to explain what’s happened and if it’s good, medium, or bad. Then lastly, when it comes to leaving, make sure that you never cash in your money, and not only do you never cash in your money, that you move it off that employee scheme and onto an independent platform. Try not to keep rolling all of your pension funds together, and the reason for that is that it gives you more flexibility when you retire. Remember, seek the advice of a great financial advisor. Really, I can’t stress to you enough that it’s worth having good advice, but make sure that you’re prudent in managing the cost associated with your advice. Take care, everybody, and have a great week. 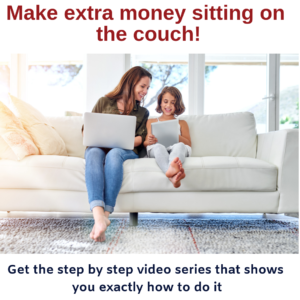 I’m Lisa Linfield, and this is Working Women’s Wealth, and I’d love you to head over to our blog, workingwomenswealth.com, where you can find great downloads and things to help you manage your money.